School Of Fish Underwater On Background Of Hard Acropora Coral In Maldives. 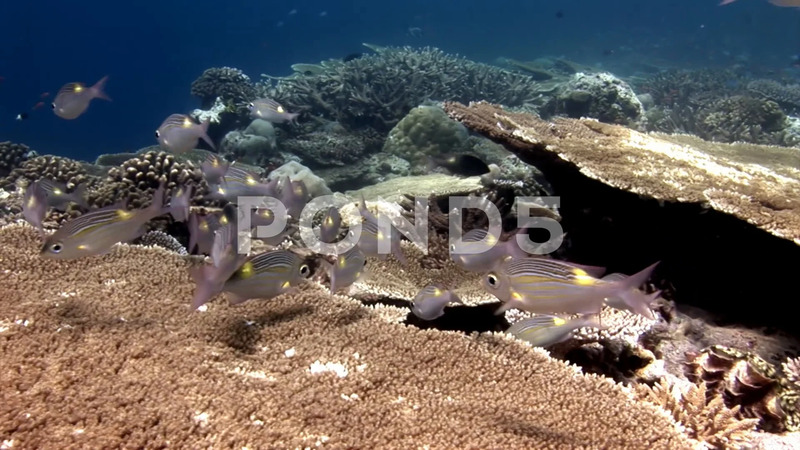 Description: School of fish underwater on background of hard acropora coral in Maldives. Unique video footage. Abyssal relax diving. Natural aquarium of sea and ocean. Beautiful animals.